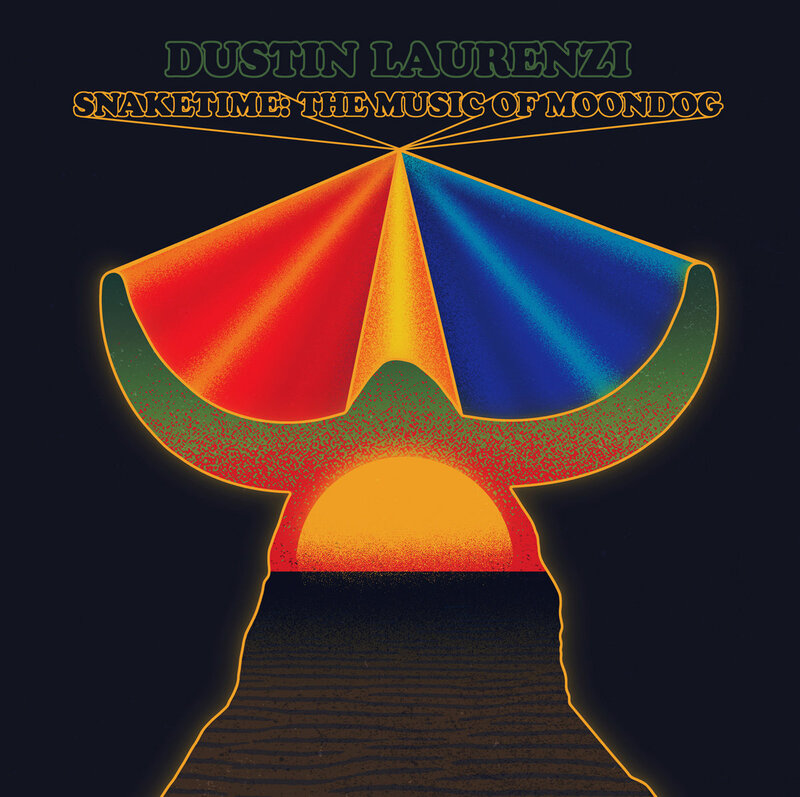 Chicago saxophonist Dustin Laurenzi, a touring member of Justin Vernon’s Bon Iver and one-third of the inventive Chicago improvising collective Twin Talk, first encountered the music of Moondog a decade ago, while studying at Indiana University. “Initially, I liked the quirkiness of the music and the lore surrounding him,” he says. Until he relocated to Germany in 1974, Kansas-born Louis Hardin Jr. was a genuine New York City fixture—a tall and gangly blind man festooned in a homemade Viking hat and crude cloak, hawking books of poetry, sheet music, and recordings of his own creation on the streets of Manhattan. Moondog, as he was better known, was as sui generis as they come, and the quirky, nonchalantly original music he created during his career was no exception. Still, it has fired the imagination of many musicians over the decades, whether Janis Joplin, Julie Andrews, Antony & the Johnsons, or Katia Labèque. Once an inveterate outsider, the peculiar genius of his homespun minimalism has now been properly recognized. The album was recorded live at Chicago’s Hungry Brain in January of 2018, but Laurenzi didn’t expect to release the music until he listened back later. The ensemble—which also includes guitarist Dave Miller, trumpeter Chad McCullough, and alto saxophonist Nick Mazzarella—was carefully assembled: a mixture of players Laurenzi had worked with or had desired to. “I didn’t want this to be a super-pro big band type of thing where everyone nails their part, but you can’t really tell one musician from the next,” he says. “I wanted to hear everyone’s voice within these dense, weird compositions. I think this record feels very ‘Chicago.’” Indeed, there’s an inescapably human, idiosyncratic vibe to the album, coursing with raw emotion and fragile beauty that both honors the distinctive spirit of Moondog and creates something utterly fresh with it at the same time.